In a generation or epoch driven by information Communication technology (ICT) innovation and advancement, it is paramount to note that Computer science as one of the top university course in Nigeria today. This is one of the key reason we are listing the top 10 best computer science universities in Nigeria 2018, the science of computer involves systematic study of the experimentation and theory of computing, engineering that forms the basis for the design and usage of computer in the society. It encompasses the general study of computer particles and operation to enhance the result. Nigeria as a country in the region of West Africa through backward in ICT as a result of an episode of events in her pre-independence history is rapidly moving to attain and achieve the certain knowledge of computer operation which is becoming a global need to every nation that seeks development. Computer knowledge enhances technological development and set a nation on a path of moving towards a global standard advanced nation. Is important to note that one of the rationales of placing a country among the 3rd world is primarily a low level of technical know-how and ICT in the society. If the Nigerian government will be committed to enhancing computer resources (ICT) and equipment in the national institutions then even the level of examination malpractice will be minimized if not cut off from the system. Covenant University is located at 10 Idiroko roads Ota, Ogun State. 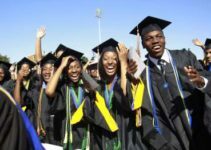 The university is one of the best 21st-century reputable private universities in the federation. It has facilities and environment conducive to learning. The school has produced sound graduates in the various field of human endeavor in the country most of which with specialization is in computer science. Computer science in the school runs for four years with no interruption. This is because the school has a standard calendar devoid of strikes. The school has an ICT Program department which also has an unhindered internet access to every student. Every student in the ICT department has a computer and that eases the mode of studying computer science in the school and led to the intensive result in computer operation in the school. The institution commonly called OAU is a federal government established a university which was founded in 1961 and operates in the country. It is located in the old city of Ile- Ife, Osun State, Nigeria. It is important to note that the school is one of the top 3 best public universities in the country. The school has ICT department which is placed to eminent aid in the pursuit towards studying the course. The department has lecturers who are worth to reckoned with and versatile in computer knowledge. These made the school be well equipped with computer science. The school is usually referred to as FUTA. It is one of the most unique 21st-century federal universities in the country. As the name entails, it is a university of technology. These imply that they specialize in courses that pertain to technical courses in which computer science is one of them. The school has a well-organized ICT department with efficient facilities. The duration of the study is four years. The school is commonly known as UNN, it is located at Enugu state, Nigeria. It is one of the best and prestigious universities one can study computer science in the country. The school possesses an ultra-modern ICT center which has adequate equipment that aid an efficient study of computer science and students grasped the best knowledge of computer and are fully equipped in the ICT world. The school has lecturers with reputable knowledge in computer knowledge and operation that makes it one to study computer science. 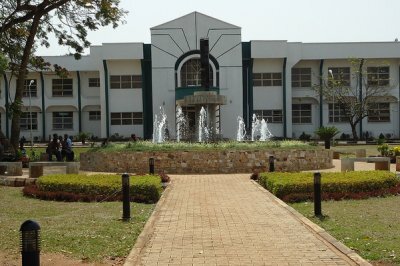 Coming fifth on the ranking of the best university to study computer science in Nigeria, Unilorincommonly called UI located at Ilorin Kwara State, Nigeria. It is a federal government university. The school is one of the most recommended institutions to study computer science in the country because it immensely trains the student’s to be self-reliant in the field of computer studies. The school has an ICT department which tremendously aids in delivering the objectives of the department. Testimonies attest to the success of computer science in the school made the department prominent because of the notable facilities in the ICT department. The University of Lagos is a federal government owned school located at Lagos State, Nigeria. This school is one of the most schools to be considered as one the best in the academic institutions of Nigeria that has a well-equipped computer science department with facilities and lecturers that are committed to delivering students to excellence in computer knowledge and program. The school has ICT department with the good condition of computer studies in the country. The University of Jos commonly known as UNIJOS is founded in 1971. 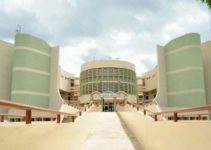 The school is undoubtedly one of the best universities in Nigeria that have a reckoning reputation in computer science among the various universities in the nation. The school is owned by the federal government. It is located at central Nigeria in Jos Plateau State, Nigeria. It has an ICT department in the school that offers one of the best resources recommended for global computer study. The school is normally called with the acronym UI. It is one of the prestigious universities in the country; it was established during the pre-independence era in 1948. It is a federal government established university which is located at Ibadan Oyo, Nigeria. The school has an efficient ICT department with equipment’s that are rated to a global standard. These made the school be one recommended for studying computer science in the country. The Ladoke Akintola University of Technology popularly known as LAUTECH is a state government established institution that is located in Ogbomosho, Oyo State, Nigeria. The school was established in the year 1990 as a technical state university. It has an effective computer science and engineering department. The computer resource department is notable in facilities and committed lecturers that made the department a distinguished one to study computer science in the country. It is imperative to note that LAUTECH is one of the attested universities with the reputable standard to study computer science in Nigeria. The University of Benin popularly called UNIBEN is tenth on our list of the best computer science universities in Nigeria. Uniben is one of the first-generation federal government established universities in the country whose integrity is attested in the country. The school was established in 1971 and located at Benin City, Edo State, Nigeria. The institution has an ICT center whose recognition is nationally and internationally recognized due to the adequate delivery of computer training and available best lecturers who specialized in computer and are versatile in the field. These made the school one of the best ten universities of computer Science recommended for everyone who is willing to study and specialize in the field. 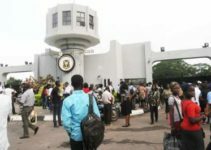 The various established universities in Nigeria, if not all offer the course Computer Science to inculcates in the student’s, ability to learn the made up of computer and its operation in this modern world. These are geared towards the emergence of a global technological society that will enhance a country’s technological advancement and eventual development. Although the country has numerous computer science universities they are not without rating due to the level of intensive training and possession of adequate resources to deliver sufficient impact in the students which varies with other universities and that equally resulted to a remarkable outcome for years though with a significant difference. Thus, this paper is limited to discuss the top 10 best computer science universities in Nigeria. As discussed above it can be deduced that with the diverse universities established across the length and breadth of this nation, most of them are structures that lack infrastructures and resources both material and human resources to deliver the best and produce graduates well equipped for innovation and advancement in the computer field. In a society and era known as the “ICT AGE,” the knowledge of computer is undeniably a necessity as it forms the basis for developed and advanced society including the best computer science universities in Nigeria. The universities established across the nation which is made up of the Federal, State and private all were established with the sole aim of attaining an enlightened society set on the path for development. Most of the schools’ lack resources to deliver in the various field most especially the computer field and as such students are limited to explore technology, methods and the emerging trends in computing. Over the years the rating of computer science graduates has been with a difference which when checked, is as a result of the university or institutions attended in the country. Therefore, in Nigeria, academic pursuit most especially in regards to computer science, it is of utmost importance to note that universities facilities and resources in respect to ICT differ. Thus, that counts for one able to make a choice on which school to attend in order to study computer science and grasped the best that computer science can offer.